Children can be fascinated by dinosaurs, even carrying small replicas with them as companions. PreK-2 students will have fun discovering which dinosaurs were herbivores, carnivores, and omnivores and examining the sizes and skeleton shape of various dinosaurs with an interactive Dinosaur Train Field Guide that can be integrated into your curriculum. 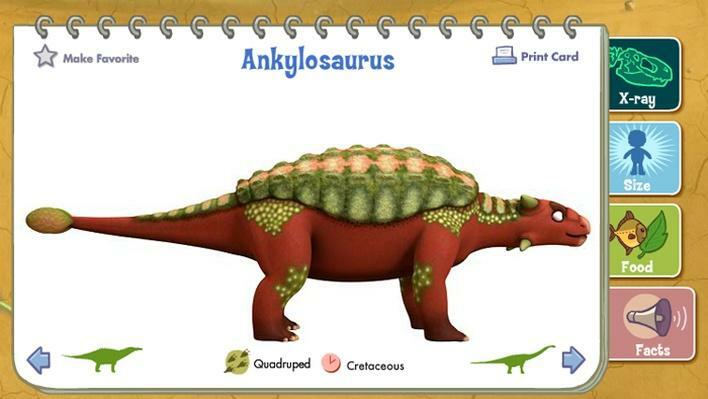 This visual and audio glossary of dinosaurs is modeled after a child’s “sound book” with fun sound effects that can be pressed. The guide teaches interesting facts about each dinosaur, including the correct pronunciation of the dinosaur’s name, what it ate, how big it was and the time period it lived in. Inviting the Cretaceous and Jurassic time periods into your classroom is a great way to motivate students to learn! This entry was posted in Lesson Plans, PBS Resources, Teaching Tools and tagged PreK-2, science. Bookmark the permalink. ← An American Soccer Coach in Egypt?